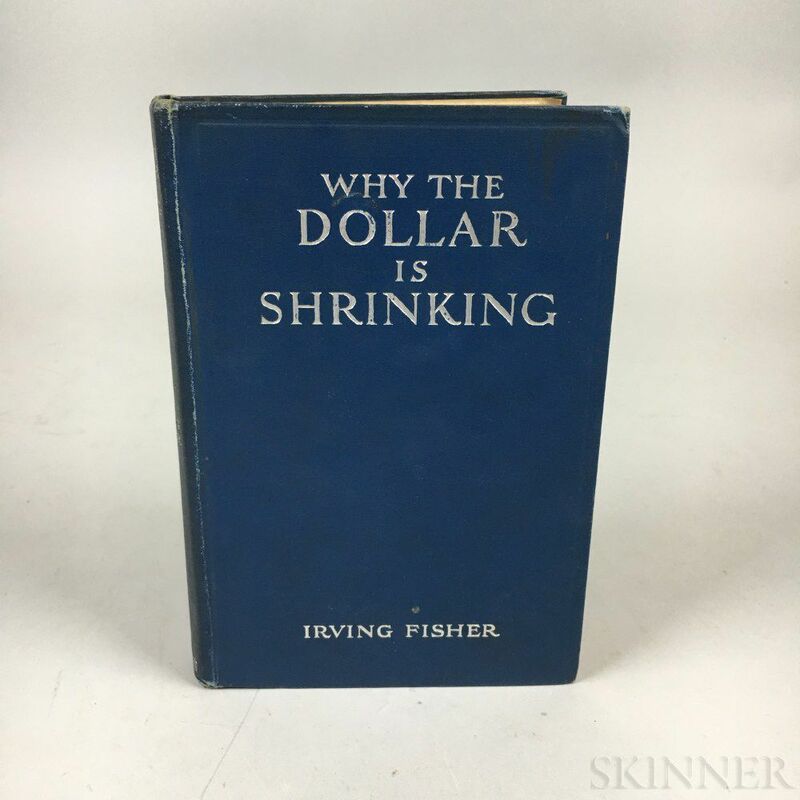 Fisher, Irving (1867-1947) Why the Dollar is Shrinking, Presentation Copy. New York: Macmillan Company, 1914. Octavo, title and copyright both dated 1914, with "Set up and electrotyped. Published September, 1914." 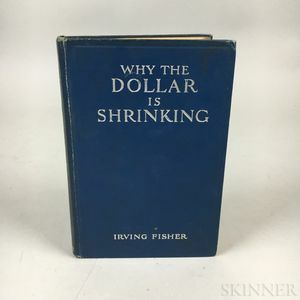 on copyright page, blind-embossed stamp on title, "Presentation Copy," bound in publisher's blue cloth, stamped on front board and spine in silver, 7 1/2 x 4 3/4 in.